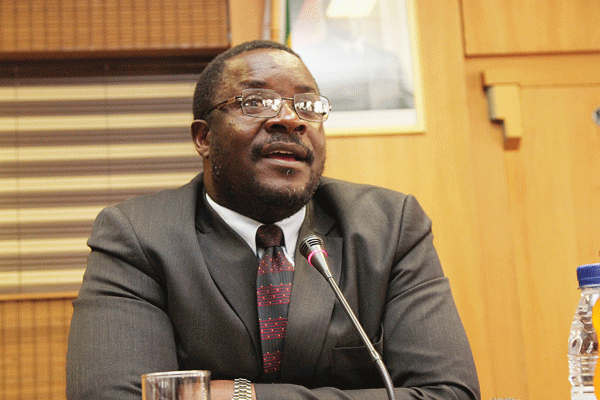 Presidential spokesperson George Charamba the nation against believing everything that is tweeted through President Emmerson Mnnagawa's verified Twitter account. Responding to journalists who were probing about the call for dialogue by President Mnangagwa, Charamba said, "Just when we were in there the President was drawing me to an attempt as it were putting words in his mouth using his twitter account. So do not always believe that which is coming through that account." When he landed in the country on Tuesday President Emmerson Mnangagwa said, "Likewise, violence or misconduct by our security forces is unacceptable and a betrayal of the new Zimbabwe. Chaos and insubordination will not be tolerated. Misconduct will be investigated. If required, heads will roll." The statement was received with jubilation by Zimbabweans all over the country who said perhaps the time to solve the Zimbabwean crisis has comes. Opposition leader Nelson Chamisa was quick to point out that while he welcomes the call for dialogue Mnangagwa must first release all political prisoners and prisoners of conscience.